The Book of Jasher and the Holy Bible - A Parallel Reading. While reading through The Book of Jasher I found myself often flipping through the Pentateuch for cross referencing. Hence the idea for this book. You will find an amazing amount of almost word-for-word parallels which lead one to wonder if perhaps one was a source for the other, or at the very least Moses and the author(s) of this book drew from the same oral traditions. To me this speaks well of the historical accuracy of this text and that it isn't some authors imaginative "filling in" details in the Biblical record. 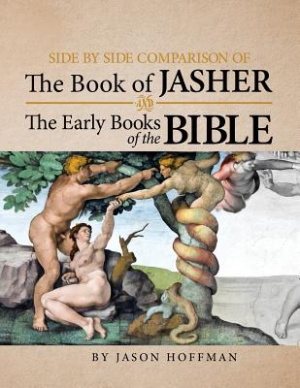 Side By Side Comparison of The Book of Jasher And The Early Books of The Bible by Jason Hoffman was published by Fifth Estate, Inc in April 2013 and is our 68146th best seller. 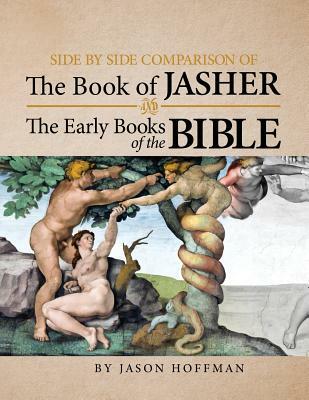 The ISBN for Side By Side Comparison of The Book of Jasher And The Early Books of The Bible is 9781936533343. Be the first to review Side By Side Comparison of The Book of Jasher And The Early Books of The Bible! Got a question? No problem! Just click here to ask us about Side By Side Comparison of The Book of Jasher And The Early Books of The Bible.